State Key Laboratory of Subtropical Architecture Science, Department of Civil Engineering and Transportation, South China University of Technology, Guangzhou. To investigate the influence of end-plate stiffeners on the initial rotational stiffness of extended end-plate internal joints, an experimental program was carried out to investigate the rotational behavior of the joints. Two finite element methods (FEMs) were proposed using ABAQUS software. 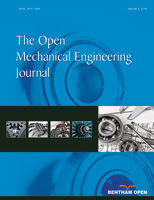 The stress distribution, plastic development, and deformation characteristics of extended end-plate joints were determined from a comparison of the results of experiments and numerical analyses, and a calculation method for the initial tensile stiffness of the end-plate stiffener was proposed. This investigation presented herein demonstrates that (1) the angle and thickness of the stiffener strongly influence the initial tensile stiffness of the joint; and (2) component-based FEMs can accurately reflect the entire loading process of joints in a simple and efficient manner.